Do y'all remember Cooking Planit from the huge spice giveaway I did a few months ago with 49 other awesome bloggers? Well they have another fantastic giveaway going on but this time for T-fal cookware! Who doesn't want a fantastic new set of cookware to use, especially if it's free? You'll have to check out the giveaway post to see how you can get your entry in; for now, check out my review below of this app available on iOS. I took it with me from "start" to finish beginning with the grocery store. 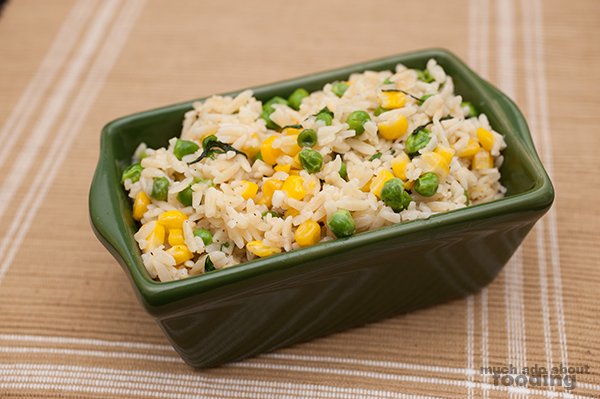 I opted to do their Creamy Orzo with Corn and Peas recipe which is just one dish. They actually have entire meals available for your cooking needs where they arrange the steps by the timing of each part of the meal (for example, if the vegetables need to be steamed from the entree at the same time as the dressing needs to made for the starter, it will guide you accordingly). 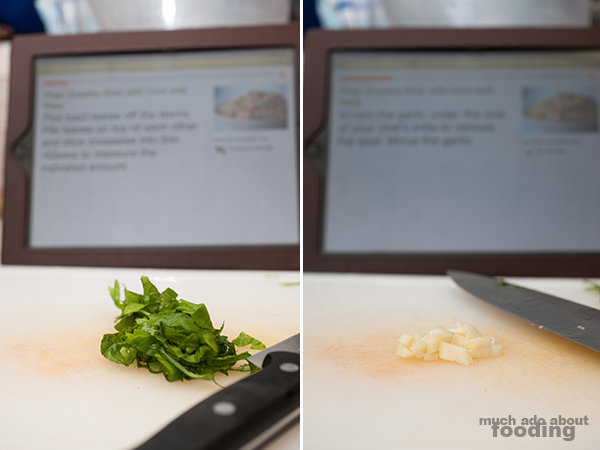 I came across this recipe by looking up what to do with fresh basil so yes, there is a comprehensive "Search" function to use. If you want full meals, these are categorized by theme or style. With every recipe, ingredients and equipment are listed along with the estimated time it takes to prepare the meal. 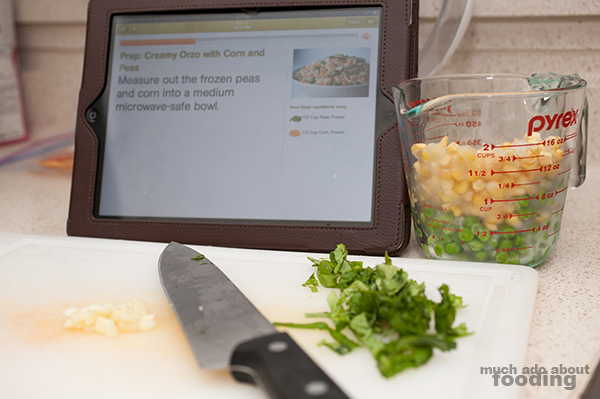 You can even preview the steps before committing to a recipe. 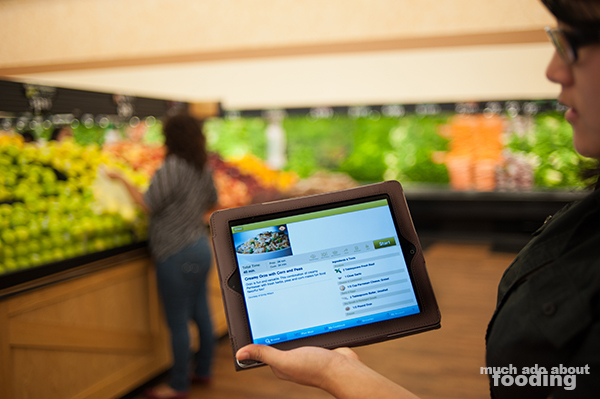 With your Cooking Planit account, you may also click to add the grocery list to a running grocery list on the app - this is definitely a big help with meal planning and kitchen timing. When you start the recipe, it reiterates the ingredients needed. These are also separated by the aisles they would be in in your grocery store to make it easier to grab everything in one place. 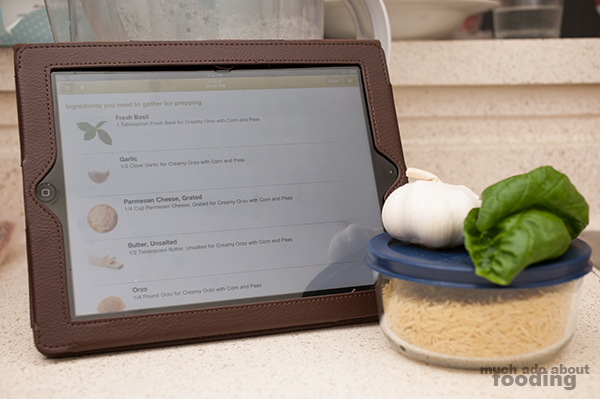 Doesn't this sound like it would help train you into becoming a meal planner? Then it moves to the steps, all the while letting you know about how long it will take before your meal is completed (for example, if you started at 5:30pm, it would let you know that your meal would be done at, say, 6:05pm). While using the app, it provides very large text to be seen from far away, the ingredients needed on the side, and voice recognition so you don't have to swipe your screen with a dirty finger. The voice commands include "Next step," "Go back," and so forth. It worked out very well except for when I was further away. The steps actually started with the very basics including just prepping ingredients. It times your whole process so sometimes it won't let you get past a certain point until it is sure that a certain number of appropriate minutes have passed. This how to cook app is certainly a good investment for several types of people: new cooks learning how to cook, busy parents, meal entertainers, and even food techies. Because it easily categorizes its recipes (all developed by Cooking Planit), you will not have a problem finding what you need, especially with its advanced search technology. 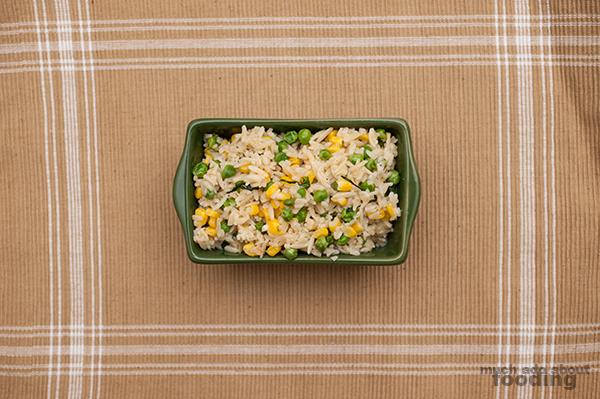 Our orzo turned out fairly well, particularly because it had been helped every step of the way as Cooking Planit does for you. You might want to consider it! Make sure you check for the T-fal cookware giveaway to get you started in your cooking adventures.